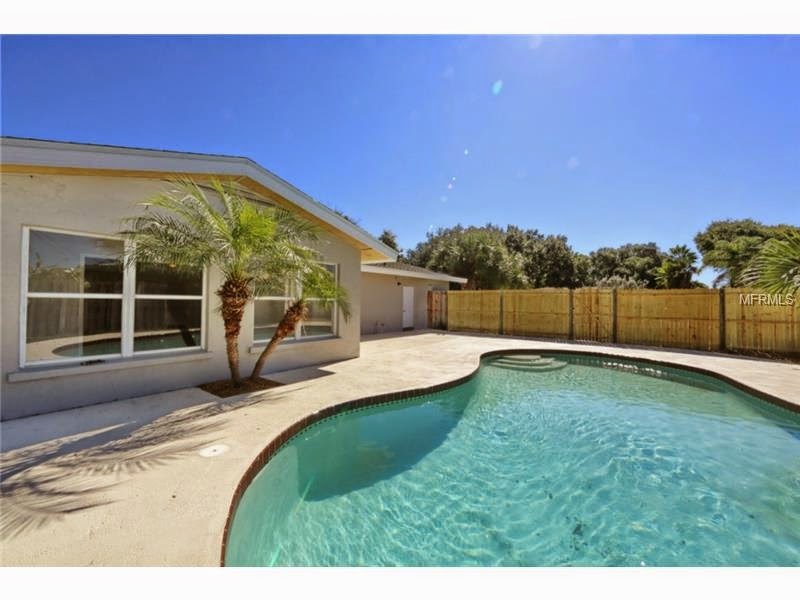 I recently saw a home come up for sale in Sarasota in the South Gate area as I was searching for clients. The home is a renovation, and the seller did most things right and a couple things that could have been done better. Here's my analysis. The color palette is perfect. The light gray walls and painted fireplace are exactly what buyers are looking for. 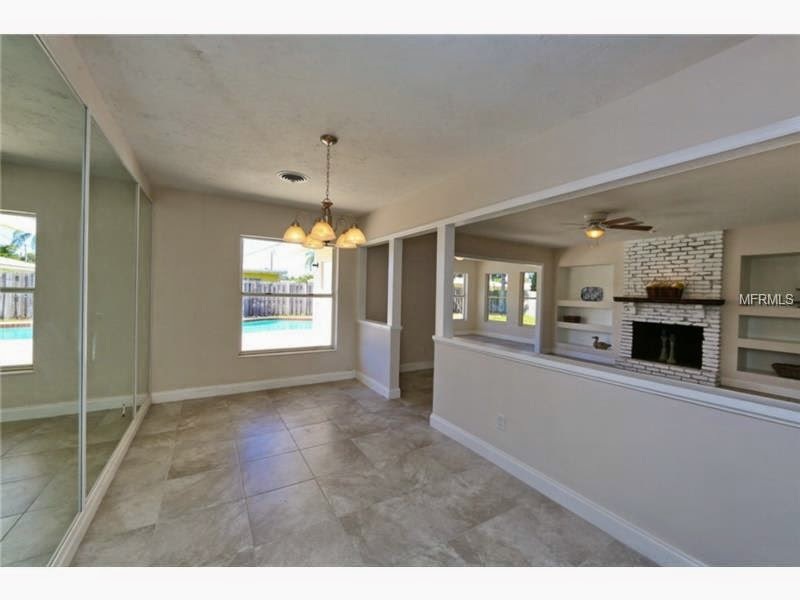 The large tile floors are also a good choice, but I bet this home had terrazzo floors. I would have preferred those be refinished. The sectioned dining room could be improved. This should have been opened to the living room, and the mirrors removed. I can't find much fault with the kitchen. 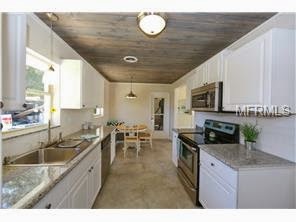 I really like the timeless simple white cabinets and flooring choices, as well as the pickled planked ceiling. 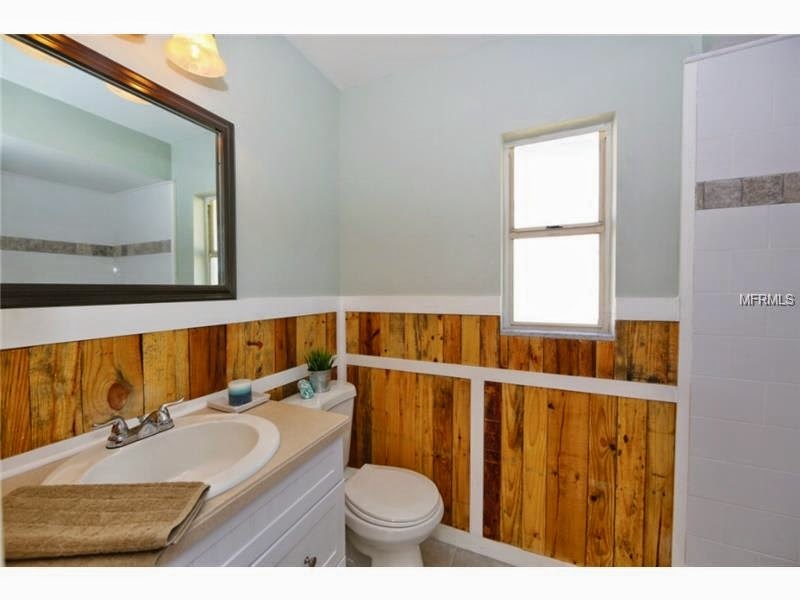 It definitely adds a memorable selling point to this home. I might have chosen lighter color counter tops, but most buyers won't quibble with these. A lot of homes in South Gate have an enclosed lanai, like this one, that became part of the living area. I would have added french doors where the windows are now. 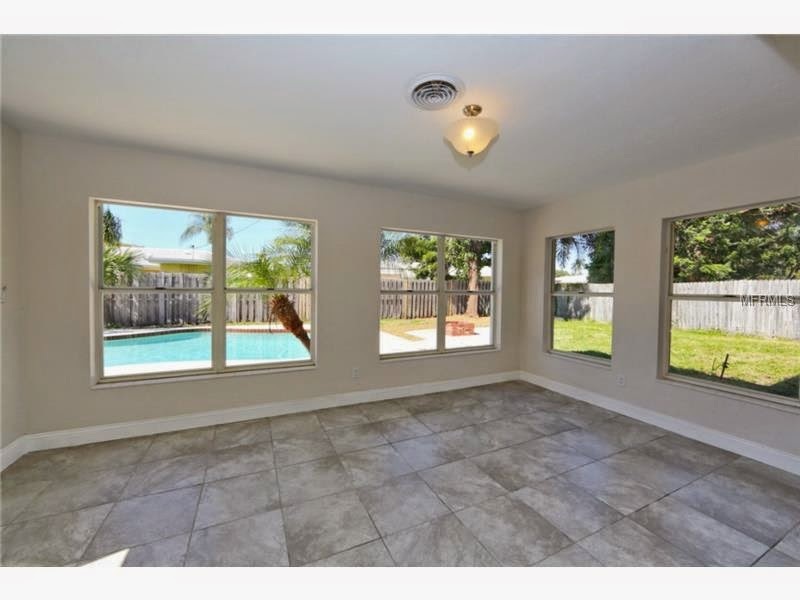 The home isn't very open to the pool area. See what I mean here about the pool. It's a nice sunny spot, begging for french doors to open the home to the outside. We're in Florida, after all. The wood paneling here in this bathroom doesn't work. It would look much better painted white. It just doesn't go with the rest of the house. 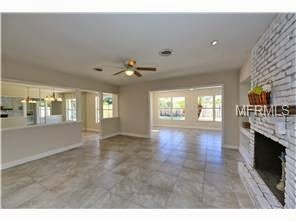 You can view the MLS report for this home in this link. Small changes can make a big difference in how a buyer sees your Sarasota or Venice real estate renovation, and will maximize it's value. If you are thinking of getting into the market, or putting your investment property up for sale, please contact me for a staging and marketing consultation.